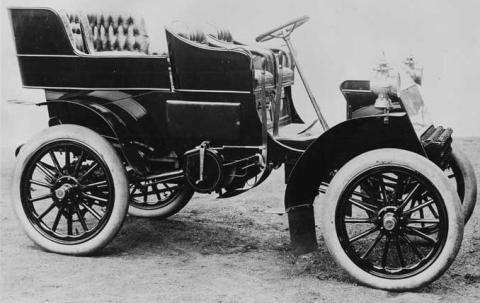 Model F was a vastly changed car and marked the beginning of Packard's change from buggy-type to automobile. A a rear tonneau was available, wooden artillery wheels were used, and the transmission was now a three-speed selective. Acetylene headlights were added, the side oil lamps being retained.